The Optical, Spectroscopic, and Infrared Remote Imaging System (OSIRIS) on board ESA’s Rosetta spacecraft acquired this image of Comet 67P/Churyumov-Gerasimenko on 20 December 2015 from a distance of 91.5 kilometres. Credit: ESA/Rosetta/MPS for OSIRIS Team MPS/UPD/LAM/IAA/SSO/INTA/UPM/DASP/IDA . The last clear sign of life was received from Philae, the Rosetta mission's comet lander, on 9 July 2015; since then, it has remained silent. Now, Comet 67P/Churyumov-Gerasimenko is moving away from the Sun and the temperature on the comet's surface and the amount of sunlight are both decreasing. By the end of January 2016, conditions on the comet will be 'lander-hostile' and Philae's mission is expected to come to a natural end. Engineers and scientists at the German Aerospace Center (Deutsches Zentrum für Luft- und Raumfahrt; DLR) have been listening in vain since last September for a signal from Philae. On 10 January 2016, they will, for the first time, send a command to Philae to spin up its flywheel. "Time is running out, so we want to explore all possibilities," says DLR Project Leader Stephan Ulamec. During the comet landing on 12 November 2015, the flywheel stabilised Philae during its descent. Now, it might impart some angular momentum to the lander as it sits silently on 67P/Churyumov-Gerasimenko. "At best, the spacecraft might shake dust from its solar panels and better align itself with the Sun," explains Technical Project Manager Koen Geurts. In the worst case, the lander will not receive the commands sent by the DLR team. Following its long silence, the current status of Philae is unclear. The last data about the health of the lander was received in the summer of 2015. The DLR team now believes that one of the lander's two radio transmitters and one of its two receivers have both failed. The second transmitter and receiver are also though to be no longer fully functional. The team continues to hope that Philae has not tilted over or become covered with too much dust. On an active comet, which is ejecting gas and dust into space, the lander is not in a particularly safe location. "Unfortunately, Philae's silence does not bode well," says Ulamec. During the night of 21 December 2015, a weak signal was received by the Rosetta spacecraft and examined by the mission team. Their analysis revealed that this was not a transmission from the lander. 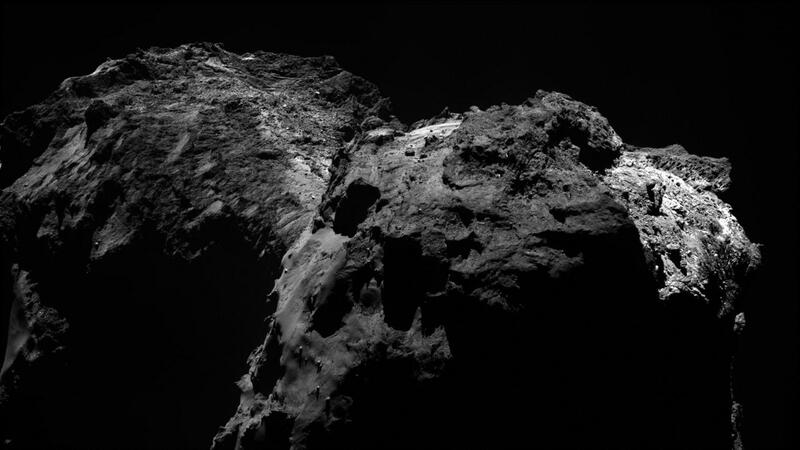 No later than the end of January, things will become increasingly uncomfortable for Philae. By then, 67P/Churyumov-Gerasimenko will be more than 300 million kilometres from the Sun. Once the temperature falls below minus 51 degrees Celsius, the lander will no longer operate. The command to spin up the flywheel and move Philae will be one of the last attempts to obtain a response from the lander. "There is a small chance," says Cinzia Fantinati, an Operations Manager on the DLR control room team. "We want to leave no stone unturned." The communications unit on board Rosetta will remain active and continue to listen for a signal from Philae beyond mid-January. ESA’s Rosetta orbiter will remain active until September 2016. Rosetta is an ESA mission with contributions from its member states and NASA. Rosetta's Philae lander is provided by a consortium headed by DLR, the Max Planck Institute for Solar System Research (MPS), the French Space Agency (CNES) and the Italian Space Agency (ASI).